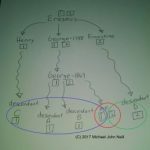 Determining exactly where a property is located in a state land state in the United States can be difficult–metes and bounds descriptions may not give adequate landmarks or they ones they give are no longer in existence. 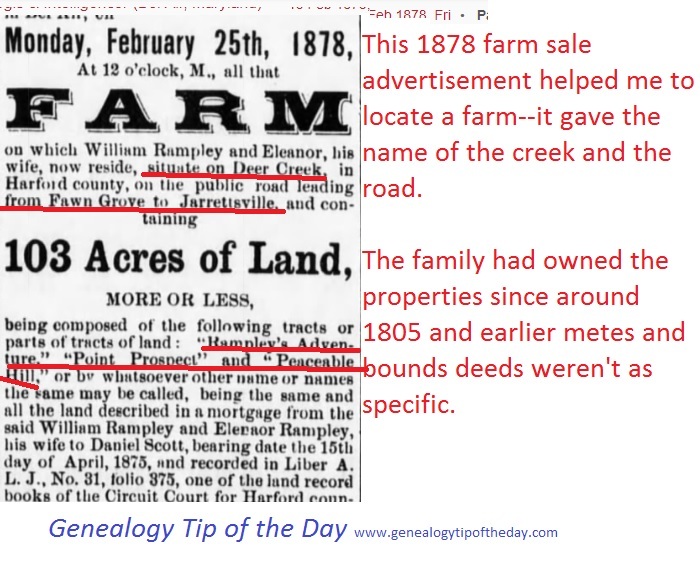 This 1878 farm sale add names properties owned by my actual ancestor in 1805. The mention of the creek and the road (in particular) will assist in determining where the property is approximately located today.